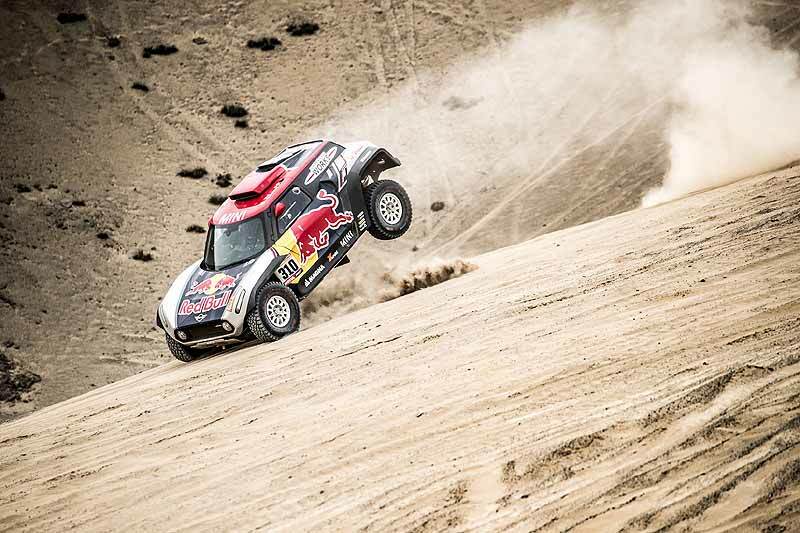 The start of the 40th edition of Dakar – the tenth in its present South America theatre – is now only hours away. Shakedown testing is complete and the Mini family of seven international two-man race crews, together with the large support team from Mini Motorsport partner X-raid, are fully prepared to undertake the challenges the Dakar will undoubtedly present throughout its 9,000 km distance that spans 14 race stages. The 2018 Dakar takes place across three countries with the starting point in Lima, Peru on Saturday 6th January 2018, before crossing into Bolivia and onwards to the finish line 14 stages later in Argentina on 20 January 2018. Each country will feature race stages that take place across natural splendour, which also happens to host the toughest cross-country racing conditions known to man and machine. Desert sand and dunes are equally as tough as the rocky ravines and mountainsides that will be encountered along the way. Add temperatures that will range from +40°C to below freezing and racing at more than 3,000-metre altitude, it is understandable why completing Dakar is considered to an equal result as taking the overall win. 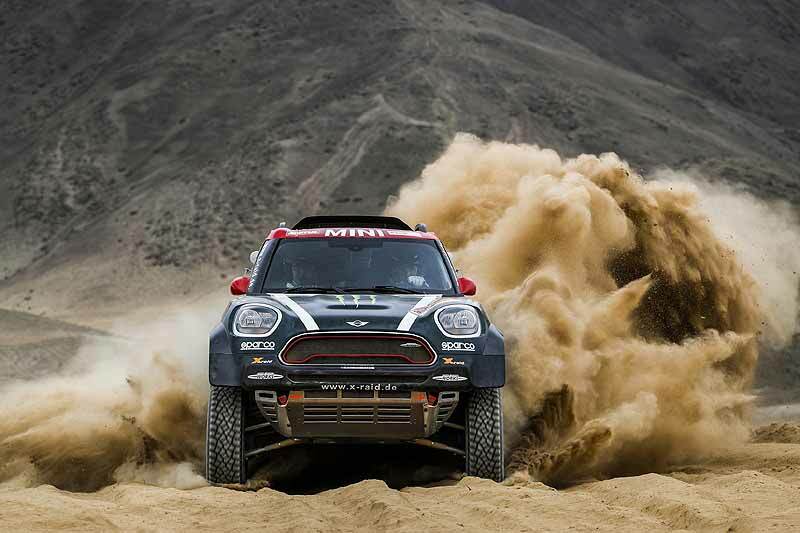 Seven Mini crews are lined up to compete against nature, time and fellow Dakar four-wheel competitors and all are focused on achieving a fifth overall Dakar win for Mini. This year’s Dakar will see Mini battle for this ultimate accolade with three of the all new rear-wheel drive Mini John Cooper Works Buggy lining up alongside four of the revered all-wheel drive Mini John Cooper Works Rally. The three crews behind the controls of the X-raid Team Mini John Cooper Works Buggy trio consist of the Dakar-experienced Mikko Hirvonen (FIN) with Andreas Schulz (DEU) as co-driver, and the equally experienced Yazeed Al Rajhi (KSA) and Timo Gottschalk (DEU). Joining them as Dakar “rookies” are the American pairing of Bryce Menzies and Peter Mortensen. The four Mini John Cooper Works Rally crews also looking to lift the fifth Dakar title for Mini are all seasoned Dakar veterans. Joan ‘Nani’ Roma (ESP), a former Mini winner of Dakar, will be joined by Alex Haro (ESP). Fresh from their second-place result within the FIA Cross Country Rally World Cup is the duo of Jakub ‘Kuba’ Przygonski (POL) and Tom Colsoul (BEL). The final two Mini John Cooper Works Rally crews are the Argentine duo of Orlando Terranova and Bernardo Graue alongside Boris Garafulic (CHI) and co-driver Filipe Palmeiro (PRT). Stage 1, Lima-Pisco of Dakar 2018 (6th January 2018) is considered a warm-up stage to the following 13 Stages. Even so, this first day’s 31 km special stage is just the start of four days competition held in hot sandy conditions and is sure to be equally testing for all Dakar competitors. Talking ahead of the start to Dakar 2018, Sven Quandt, CEO X-raid, said: "It’s always our goal to make it onto the Dakar podium – something that is very possible with the all-new Mini John Cooper Works Buggy and the latest Mini John Cooper Works Rally. Of course, there are many variables we can’t control, such as the route, weather and luck, which is something you definitely need to succeed in the Dakar."